When a man works on a computer he looks into the monitor and sees various applications. We thought: “What if the applications could look back at the man with their large clear eyes? 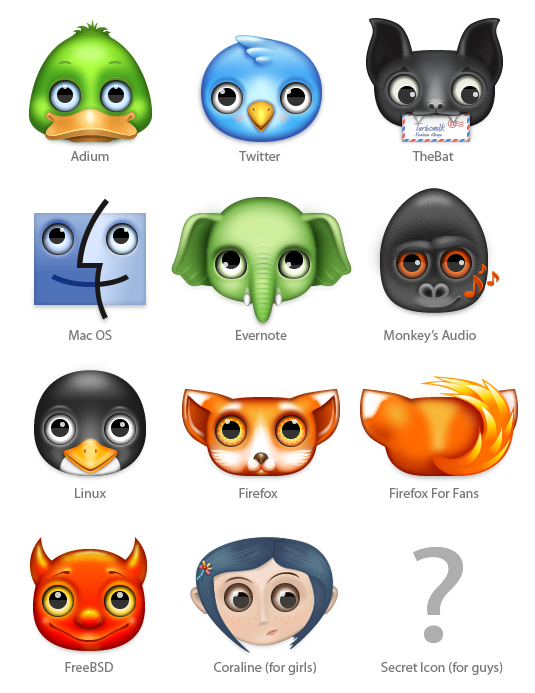 !” This idea lead to the creation of a free set of goggled Zoomeyes 2 icons meant to replace the default application icons. If you ever get a feeling of being followed, this is quite normal. Do not worry, it’s not paranoia. You are being followed by a team of picked zoom-eyed creatures. They have popped their eyes and are full of attention. 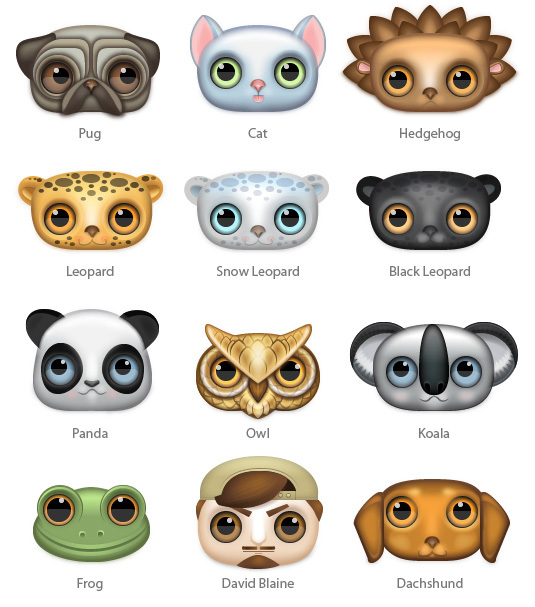 Turbodesigner Olesia Kozlova have drawn a set of icons with the nicest goggle-eyed creatures — champions of staring contests. You are free to do whatever you want with them but be careful not to let them subdue your mind. Take this hypnotoad to start with.